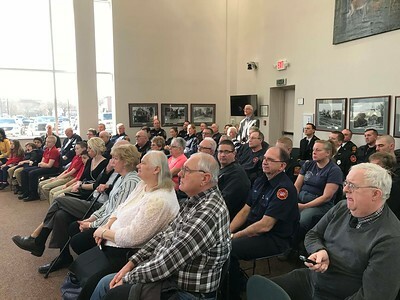 NATHAN HAVENNER/ GAZETTE Wadsworth City Council Chambers, 120 Maple St., were filled with family, friends and firefighters during Robert Lindner’s swearing in as chief of the Wadsworth fire department Monday. 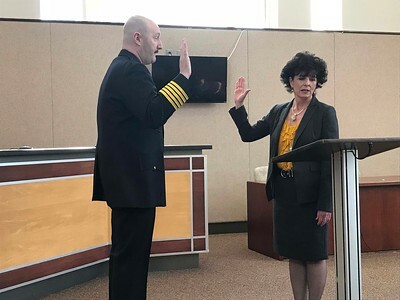 NATHAN HAVENNER/ GAZETTE Robert Lindner, 43, is sworn in as the 16th fire chief of the city of Wadsworth at city hall Monday by Mayor Robin Laubaugh. Lindner has been serving as interim-chief since January. 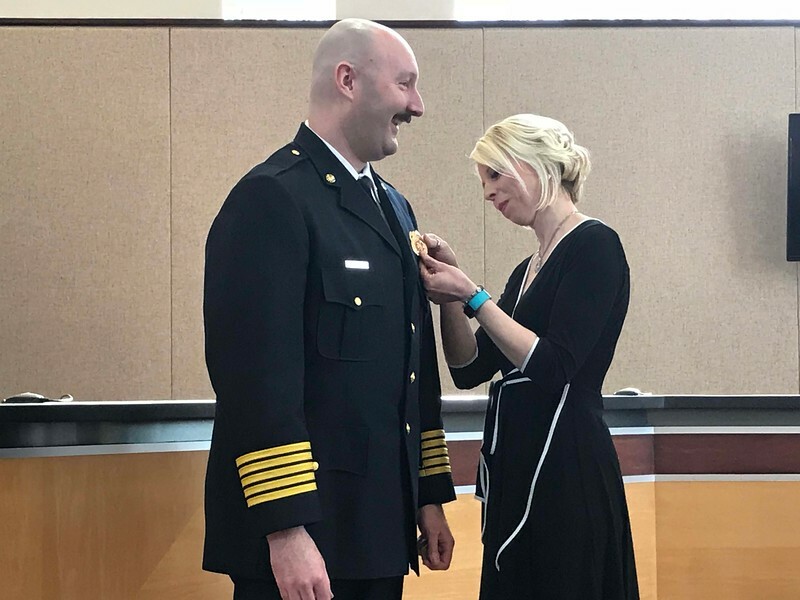 NATHAN HAVENNER/ GAZETTE Andrea Lindner performs the pinning ceremony for her husband Robert following his swearing in as fire chief by Mayor Robin Laubaugh at city hall, 120 Maple St. Monday morning. 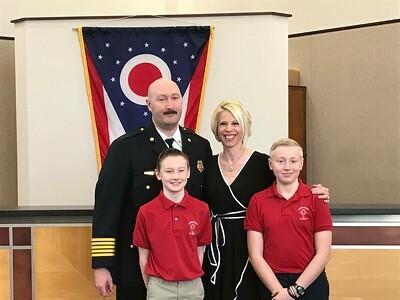 NATHAN HAVENNER/ GAZETTE Newly sworn in Wadsworth Fire Chief Robert Lindner is pictured in council chambers with wife Andrea, and sons Carson, left, and Grant, 13, right, Monday. 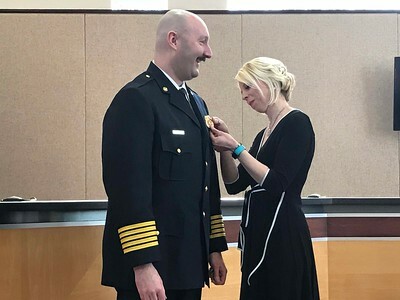 Andrea Lindner performs the pinning ceremony for her husband Robert following his swearing in as fire chief by Mayor Robin Laubaugh at city hall, 120 Maple St. Monday morning.